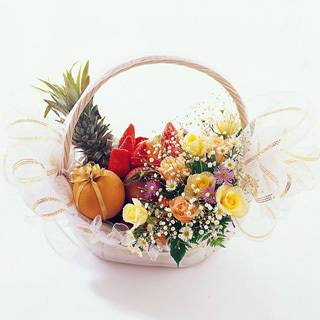 Flowers and fresh fruits are carried with lagger basket and are carefully hand-packed and delivered. 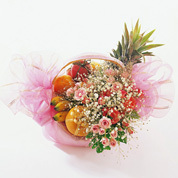 Apples, grapes, pears and tangerines arrive in a wicker basket decorated with roses, seasonal flowers and evergreens. 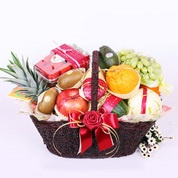 A handled basket is filled with the day's freshest fruit and finished with a ribbon. 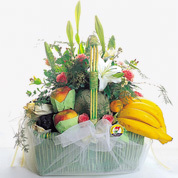 Fruit selections will vary. 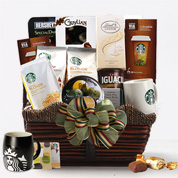 Detailed items featured on the photo may vary depending upon availability in certain regions.